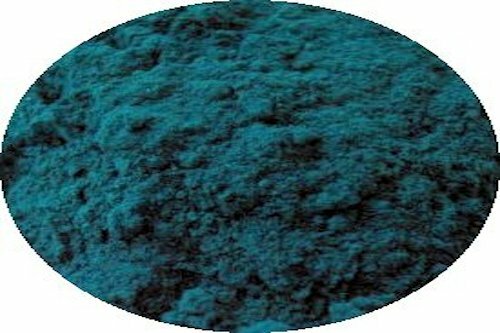 Phthalocyanine Green G, also called phthalo green, Pigment Green 7, Copper Phthalocyanine Green, C.I. Pigment Green 7, Non-flocculating Green G, Polychloro copper phthalocyanine, or C.I. 74260, is a synthetic green pigment from the group of phthalocyanine dyes, a complex of copper (II) with chlorinated phthalocyanine. It is a very soft green powder insoluble in water.